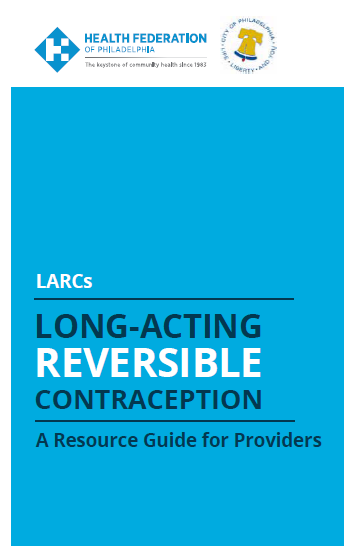 This resource guide includes information on clinical settings in Philadelphia and surrounding counties that provide long-acting reversible contraception (LARCs). LARCS are the most effective contraceptives currently on the market. This guide is specifically for use by providers. This booklet was produced in collaboration with the AIDS Activities Coordinating Office of the Philadelphia Department of Public Health.